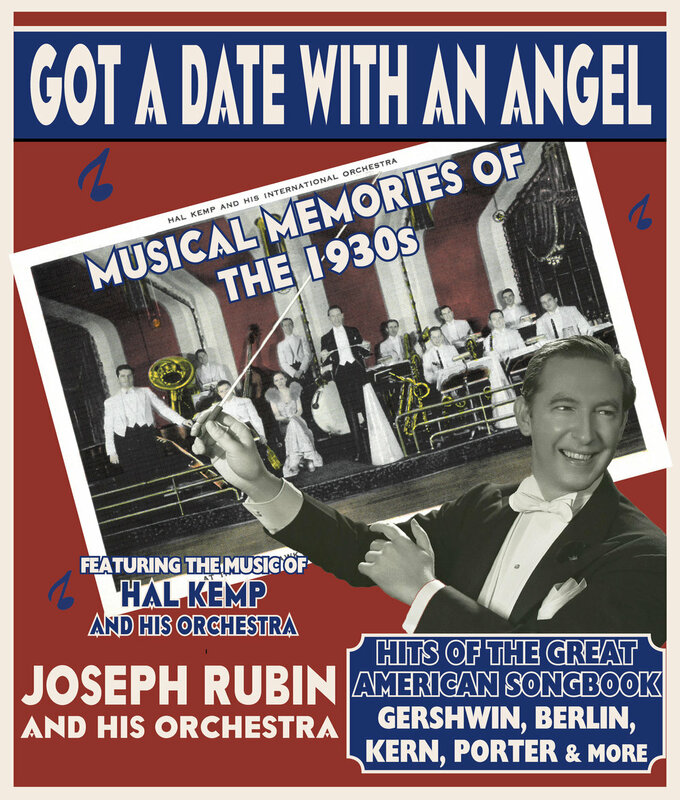 Step back in time to the glamorous 1930s and hear the music that set the country dancing as performed by one of the most popular bands of the era, Hal Kemp and his Orchestra. Hear musical memories from The Great American Songbook: “In The Mood,” “Moonlight Serenade” “Too Marvelous for Words,” and more with music by George Gershwin, Irving Berlin, Cole Porter, and Jerome Kern. After graduating from the University of North Carolina, Hal Kemp rocketed to bandleading fame in the 1930s with a distinctive musical style originated by pianist/arranger John Scott Trotter (later musical director for Bing Crosby) and vocalist Skinnay Ennis (who went on to form his own big band in the 1940s). Kemp’s records sold in the millions and his live appearances drew capacity crowds. Joseph Rubin leads a swinging 12-piece big band and three outstanding vocal soloists performing Kemp’s newly discovered original arrangements for the first time in 80 years! No expense has been spared in this presentation. From the band’s uniforms to the monogrammed music stands to the 1930s Leedy Drum Set, the original Hal Kemp Orchestra is reproduced down to the most minute detail.